Originally known as Somerset School No. 342 when it was established in 1882, at 13-7-13 west of the Principal Meridian, in the Rural Municipality of Victoria, five years later the school was moved to the new railway town of Cypress River. 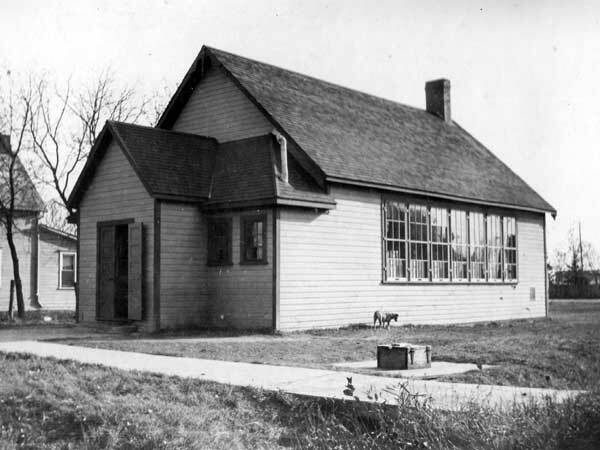 It was later renamed Cypress River School No. 342. The present two-storey brick structure was erected in 1896, on a design by Winnipeg architect Hugh McCowan. Cypress River Consolidated School, located on Connon Street in Cypress River was created in April 1958 with the consolidation of Cypress River School No. 342 with schools from the surrounding rural areas, including Glencove School No. 205, Selton School No. 291, Richmond Hill School No. 363, Bru School No. 368, Cypress Valley School No. 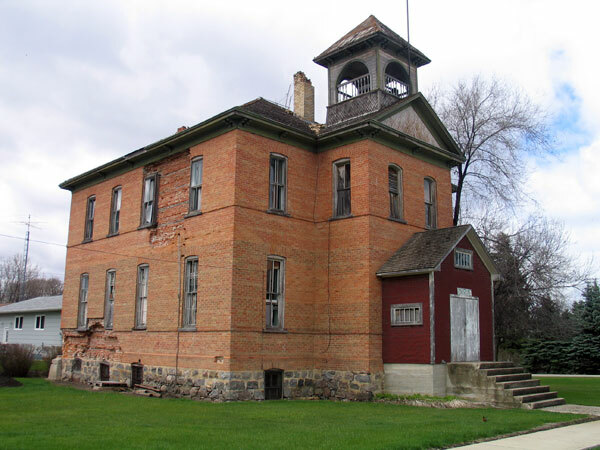 394, and Oliver School No. 1766. A new elementary school was built at Cypress River in 1958, students in grades 1-8 transferred there in January 1959. 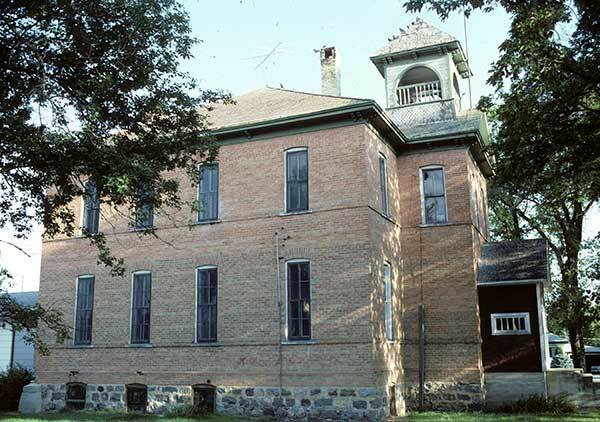 This two-storey structure then became the a high school before its closure in the summer of 1965, at which time its bell was removed from the tower for reinstallation on a monument nearby. 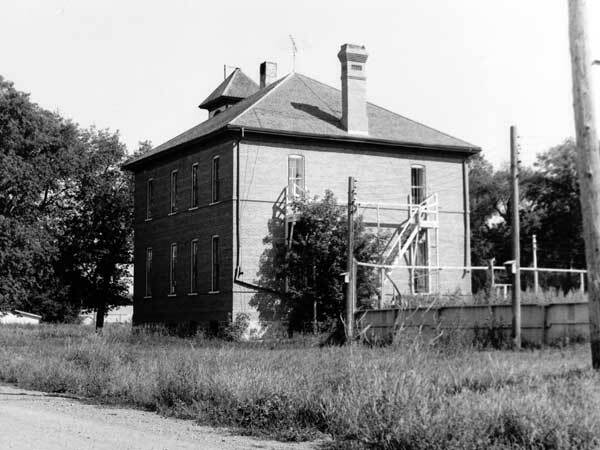 The building sat vacant until 1970, when as part of Manitoba centennial celebrations, it was reopened as a seasonal community museum, which operated for about 20 years. When the museum closed permanently, its artifacts were returned to the original donors, were transferred to other museums, or were sold at a public auction. The building was then sold to a local resident. 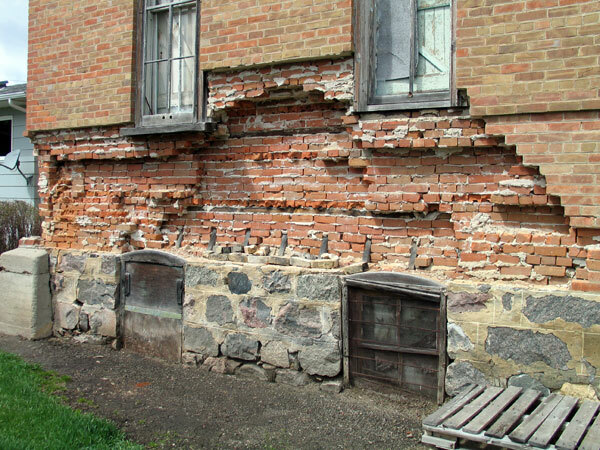 It has since suffered significant structural damage, with outer brick courses having been removed from the first and second levels on its south-facing side. Among the other teachers of Cypress River School was A. J. Manning. GR8461, A0233, C131-1, page 34. 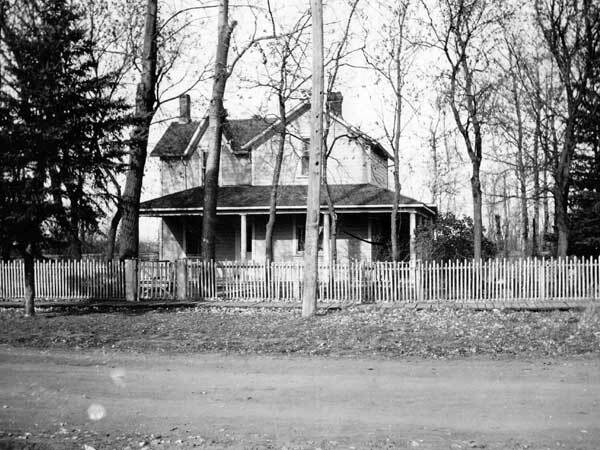 Source: Archives of Manitoba, Architectural Survey - Cypress River 2. Source: Historic Resources Branch, Public School Buildings Inventory, slide 1397. School division half-yearly attendance reports (E 0757), Archives of Manitoba. Manitoba School Records Collection, Cypress River School District No. 342 Daily Registers, GR2049, Archives of Manitoba. Manitoba School Records Collection, Cypress River Consolidated School District No. 2357 Daily Registers, GR2049, Archives of Manitoba. We thank Georgette Hutlet for providing additional information provided here.